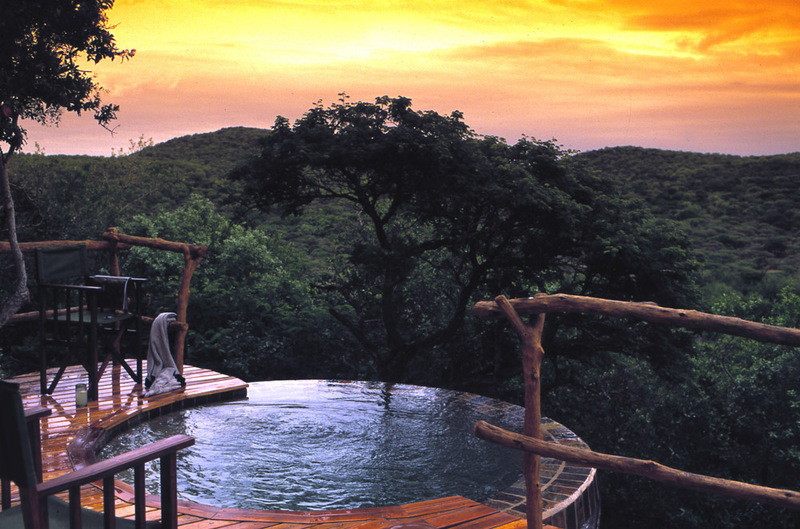 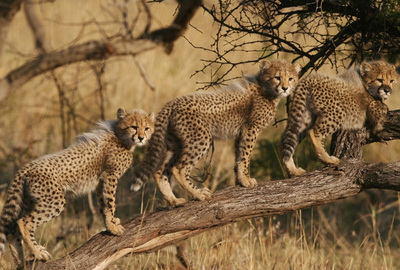 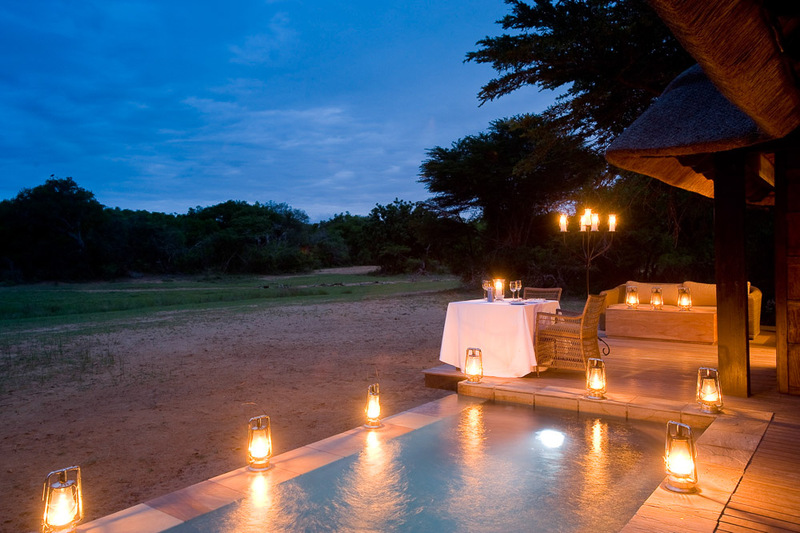 The &Beyond Phinda Private Game Reserve is spanning an area of 23,000 hectares. 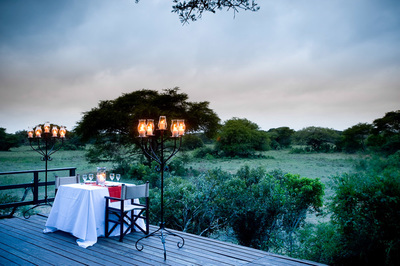 The Big 5, as well as the black rhino and cheetah, are seen here regularly and a total of 415 bird species have been recorded in Phinda Private Game Reserve. 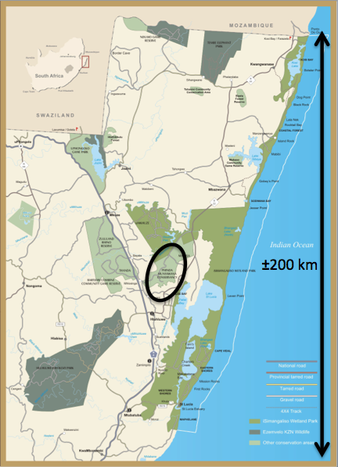 The reserve is described as the 'Seven Worlds of Wonder' because of its seven distinct ecosystems - a carpet of forests, grasslands and wetlands woven through mountain ranges, rivers and swamps. 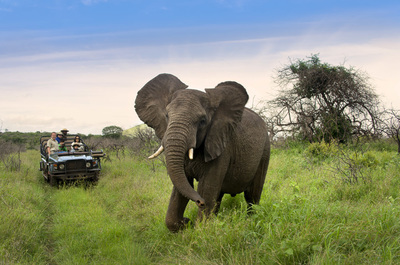 Activities include game drives in open game viewing vehicles, walks with armed rangers and boat or canoe trips on the Mzinene River. 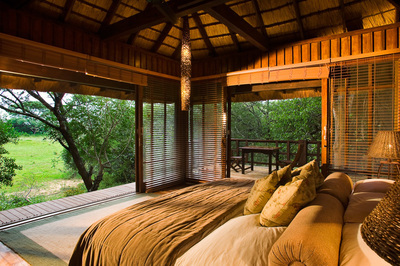 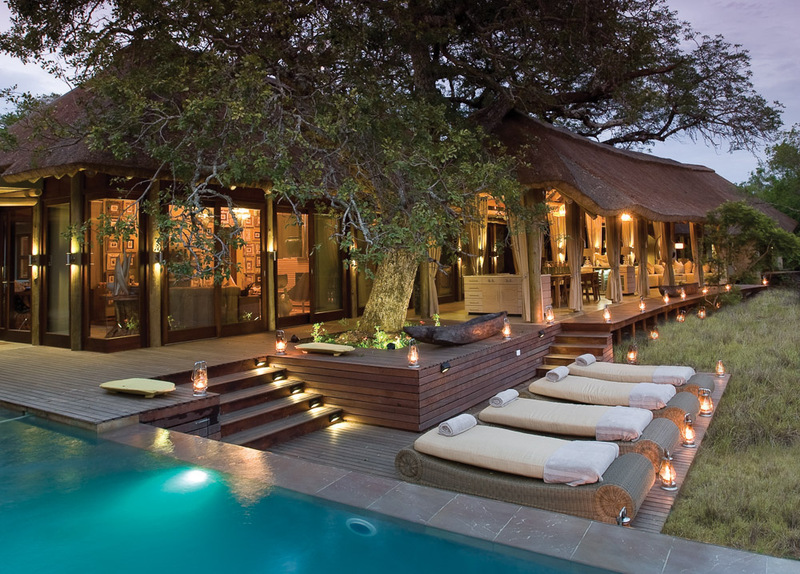 There are several all-inclusive lodges at Phinda Private Game Reserve, each with its own unique style. 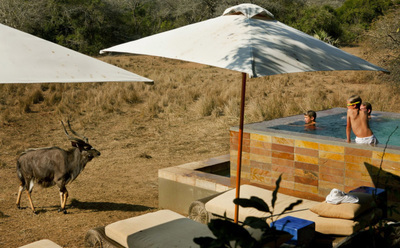 Read about the differences in the descriptions below and choose the lodge which best suits you. Phinda Homestead is perfect for traveling families. 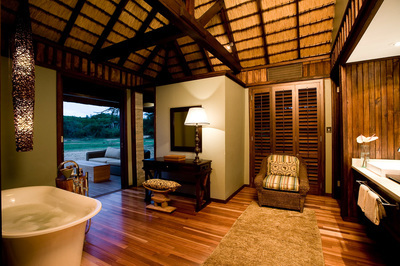 The luxurious villas contain four bedrooms and a living room. 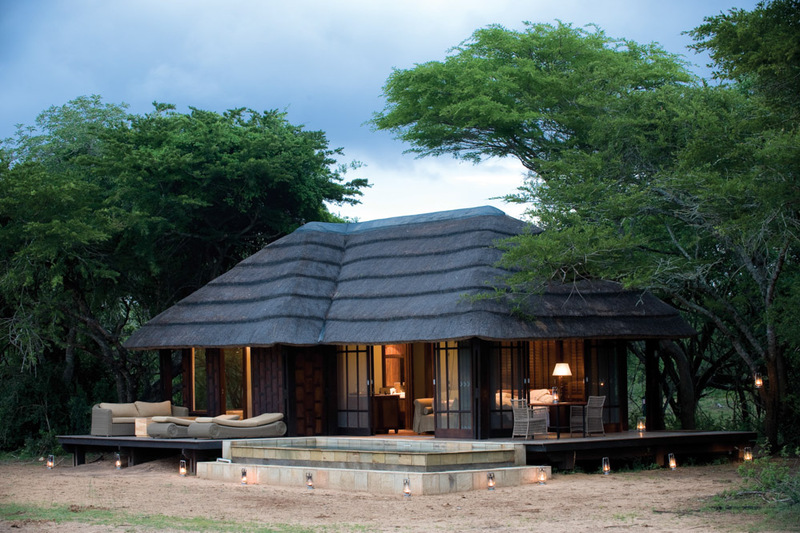 Each villa comes with the exclusive use of a safari vehicle. 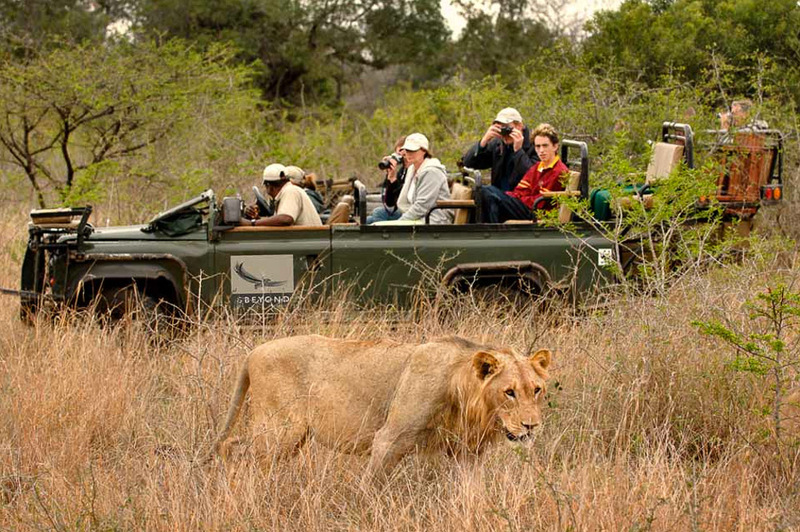 This way trips can be personally designed to suit little children as well. 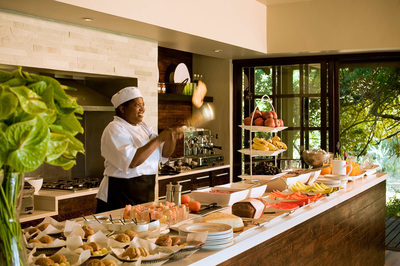 The private chef can prepare special food requests made by little kids at any time. If requested special staff is available to look after little children. 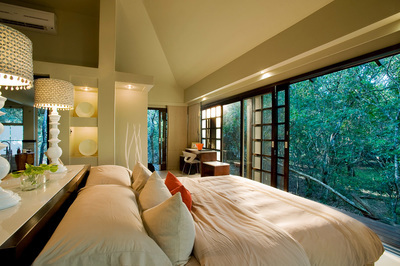 The villas are spacious and designed to let in the natural light. 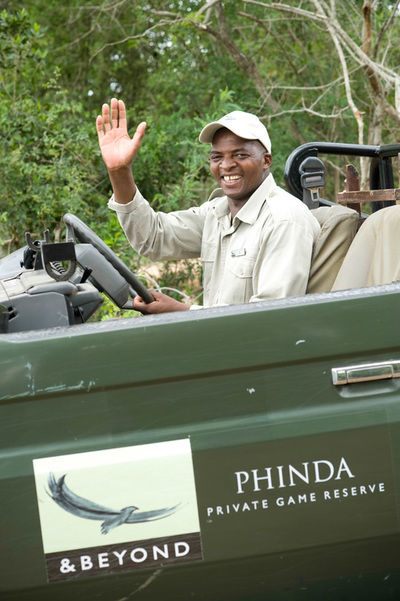 Children of all ages are welcome at Phinda Homestead. Phinda Mountain Lodge consists of 24 luxurious suites with en-suite bathroom, private veranda, personal bar and a plunge pool. 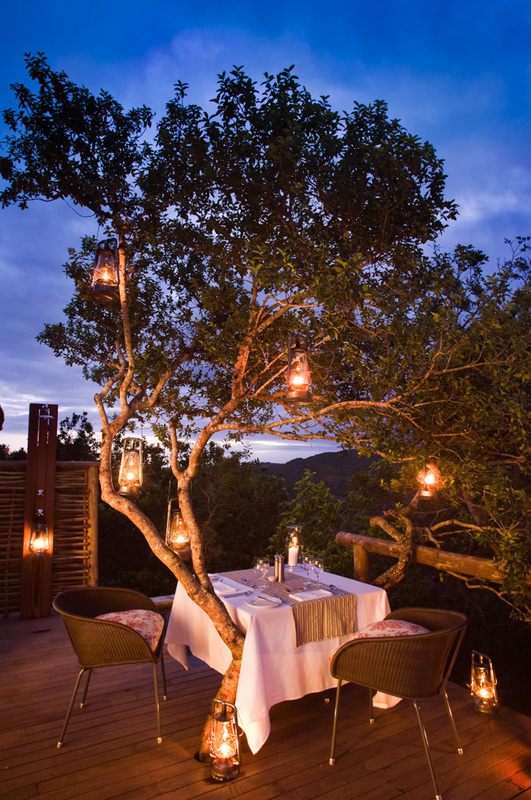 Because of its location on top of a hill guests can enjoy the beautiful scenery from their veranda. There is a communal terrace where guests can enjoy each other’s company as well as nice cocktail. 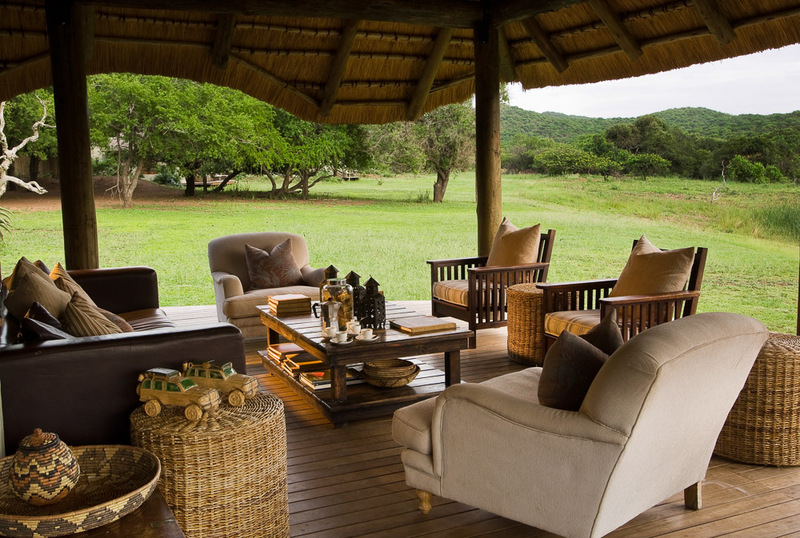 In the morning and evening guests have a private ranger at their disposal to take them on a game drive. 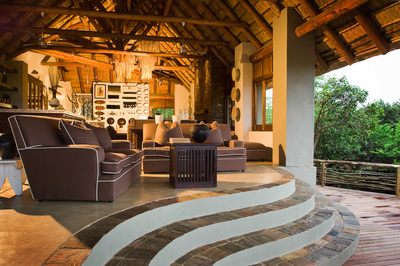 Children of all ages are welcome at Phinda Mountain Lodge. 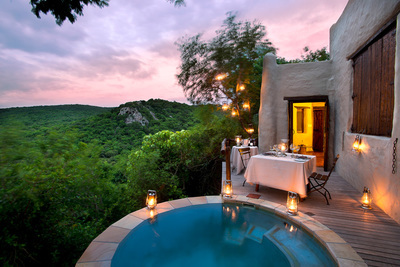 Phinda Rock Lodge is built on the edge of a steep cliff and provides guests with a spectacular view over the valley. The lodge only consists of 6 suites, which gives you the ultimate feeling of seclusion and exclusivity. Each room has its own private plunging pool, which is placed on the edge off the cliff. 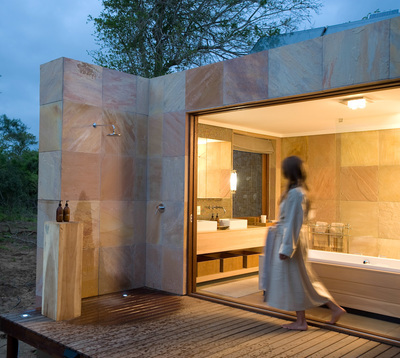 The whole complex is modelled in a way that you feel as though you where staying in the mountain itself. 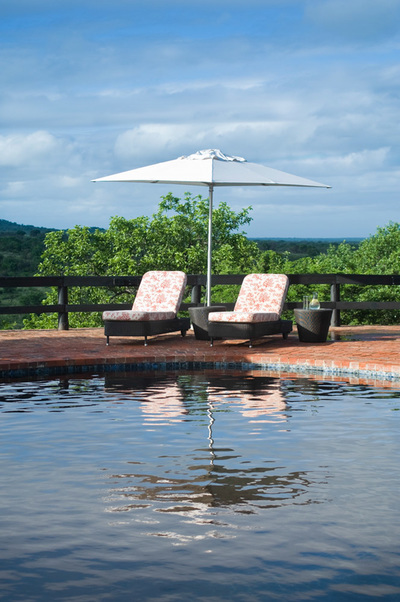 Children over 12 are welcome at Phinda Rock Lodge. 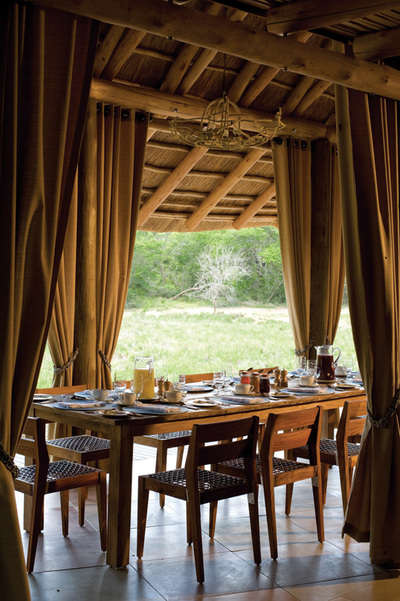 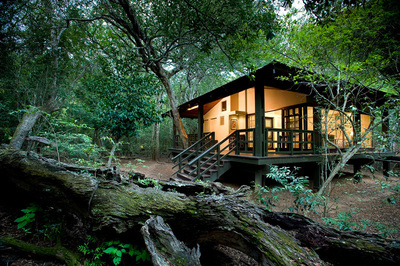 Phinda Vlei Lodge is built on the edge of the forest overlooking an open meadow. 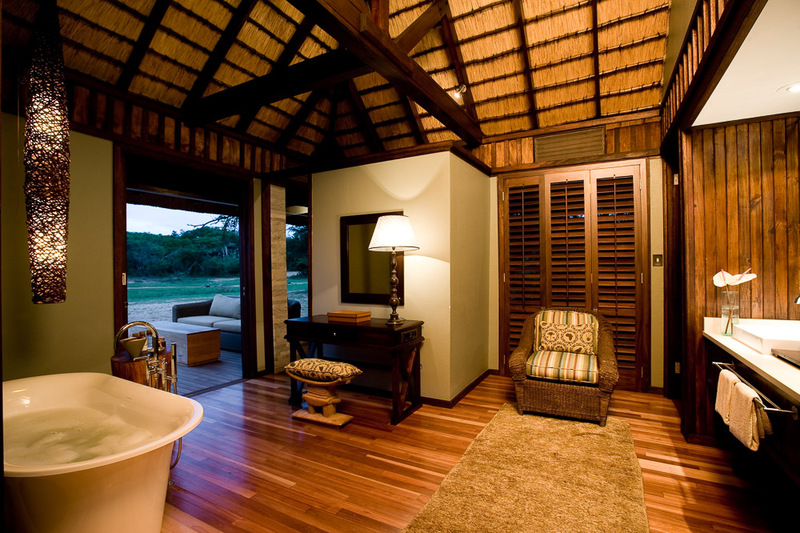 Its location ensures that you don’t even have to leave your comfortable suite to experience an African safari. 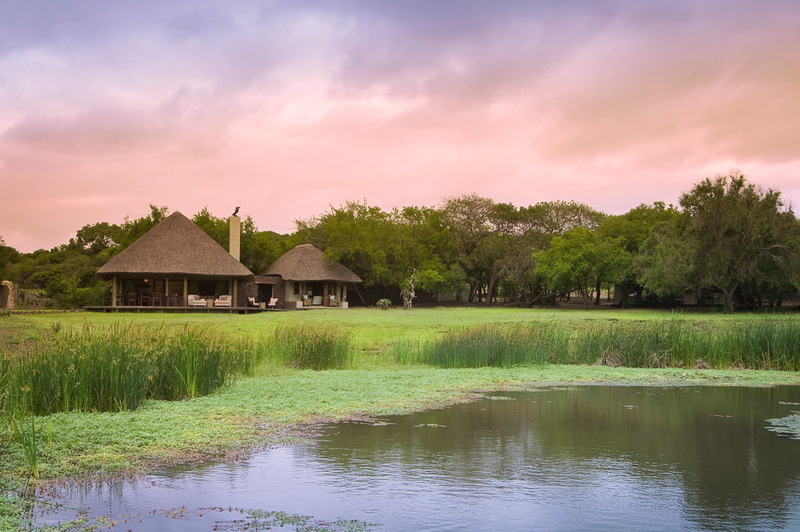 You can do anything from taking a dive in the pool to having breakfast without missing any of the animals that pas trough the vlei (meadow). The buildings are designed especially to blend in with the surroundings to avoid disturbing the wildlife. 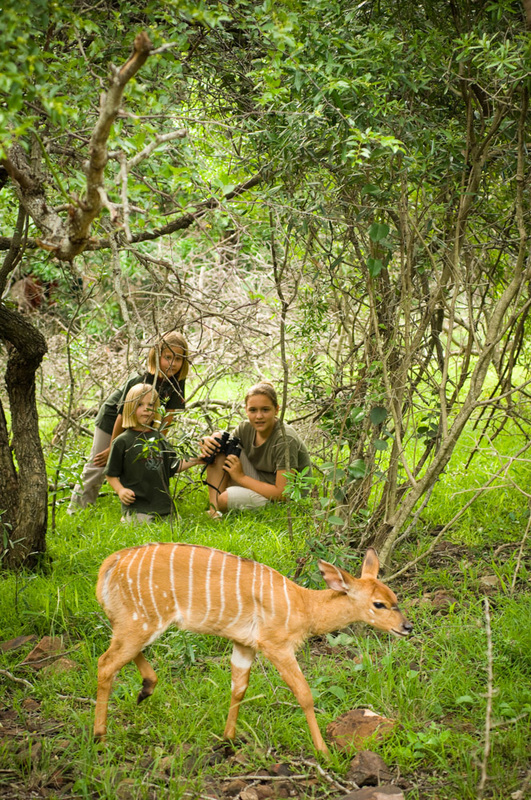 Children of all ages are welcome at Phinda Vlei Lodge. 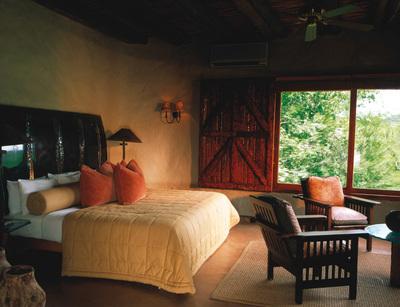 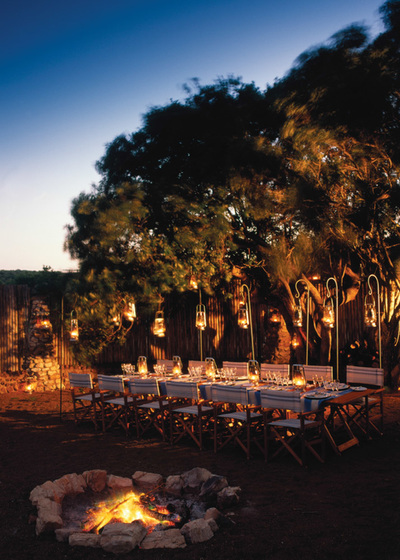 Phinda Zuka Lodge is set up to make its guests feel at home on the African savannah. The whole place is designed to cater to its guests needs. A private ranger and vehicle will ensure total flexibility whilst planning the game drives. Watching the Big 5 and other animals has been made incredibly easy with a private watering hole where you can spot the animals in private. Children of all ages are welcome at Phinda Zuka Lodge.